Online counselling via Skype or WhatsApp allows you to connect with the Healing Room wherever you may be in the world. So whether you are at home, at work, abroad; you need not be alone. 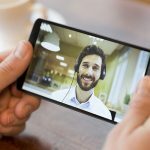 Video call sessions can take place through Skype or WhatsApp. Sessions begin when the client rings through with at the arranged time. Both the client and therapist are visible to each other. This can be very important for some people who want that visual connection, but for whatever reason, are unable to access traditional face to face counselling support. Both people have access to the additional tool of seeing body language, facial expressions etc. in addition to the feedback associated with hearing. For some people, seeing who they are working with is as important for them as being seen themselves, and is an important aspect of connection and relationship establishment and development. You must have access to a smart phone for WhatsApp or Skype calls or computer/ laptop/ ipad for Skype depending on your preferred method of contact. Step 3: at arranged time the call is made to the_healingroom on Skype or to WhatsApp number 087 8576418 and then counselling online begins. Session will be 50 mins. 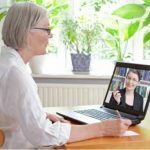 Pros & Cons of Online Therapy: Are We Hard-Wired to Connect?